PT Unilever Oleochemical Indonesia - PT UOI is a well-established foreign investment company in Indonesia, running business in the field of oleochemical industry. Oleochemical are chemicals derived from animal and plant fats. Its commonly used in consumer good products, such as soaps and detergents. PT UOI operates primarily as a producer of oleochemical products which commonly used in consumer good products, such as soaps and detergents. PT Unilever Oleochemical Indonesia is domiciled in Sei Mangkei and its oleochemical plant is located at Sei Mangkei Special Economic Zone Simalungung, North Sumatera Province. PT Unilever Oleochemical Indonesia is a sister company of PT Unilever Indonesia Tbk, a leading public-listed company in Indonesia, running business in consumer goods industry. 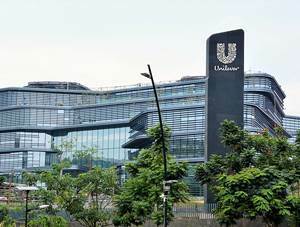 According to information found in Unilever Indonesia's website as cited by JobsCDC.com, PT Unilever Oleochemical Indonesia is fully owned by the Anglo-Dutch multinational Unilever NV and Plc (Unilever Group) through Mabibel B.V (99.9%) and Marga B.V (0.1%). Unilever Group has 3 companies in Indonesia; PT Unilever Indonesia, Tbk, PT Unilever Oleochemical Indonesia and PT Unilever Enterprise Indonesia.Unilever Group holds 85% shares in PT Unilever Indonesia Tbk through Unilever Indonesia Holding B.V. Available functions : Engineering, Logistic, Procurement, HR, Fatty Acid, Dove & Soap, SHE, Sales, Finance. S1 degree in Chemical Engineering, Electrical Engineering, Mechanical Engineering, Enviro Engineering, Industrial Engineering, Chemistry ad Accounting with minimum GPA of 3.20 / 4.00 Graduate 2018. Last semester student (semester VIII) are welcome to apply. Good English skills (good in both written and verbal with TOEFL score 450 or more). Active in extracurricular and social activities. Proactive and possesses strong will to make this things happen. Willing to be placed in Sei Mangkei-North Sumatera. JobsCDC.com now available on android device. Download now on Google Play here. Please be aware of recruitment fraud. The entire stage of this selection process is free of charge. PT Unilever Oleochemical Indonesia - Management Trainee Program UOI October 2018 will never ask for fees or upfront payments for any purposes during the recruitment process such as transportation and accommodation.